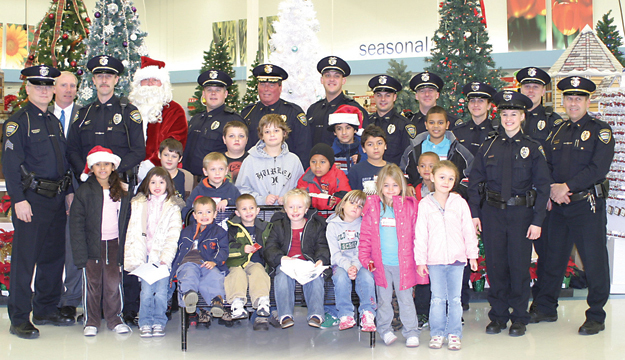 SHOPPING WITH HEROES—Someone trademarked Shop With a Cop, so this annual outing needs a new name (Shop With Our Cops?). 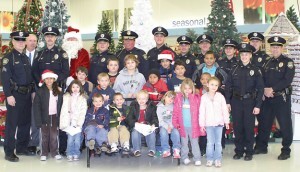 Rockford Police took youngsters on a special shopping spree at the Rockford Meijer Sunday, December 6. After filling carts with necessities such as socks and mittens, children were able to pick out a toy of their choice. 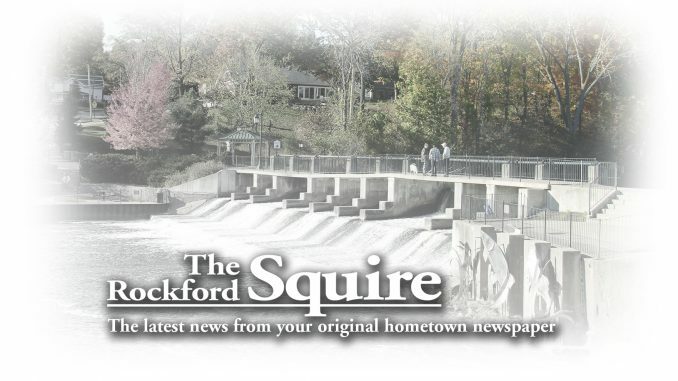 Rockford Police were out in full force Sunday, December 6 at the fifth annual event where officers pair up with youngster to brighten the holiday season. 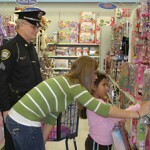 Children, loaded with a $100 Meijer gift card, first pick out necessary items that their parents or guardians request. Boots, coats, mittens, snow pants fill the cart pushed by one of the City’s men and women in blue. 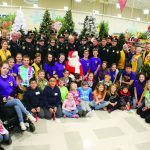 This year donations by two of the City’s service groups, the Rotary and Lions, allowed 20 youngsters who live in City limits to take part in the program. Rockford Lions also team up with officers to help in the two-hour shopping spree, although many officers bring a family member to help. Rockford Mayor Chi Chi Rogers, also director of public relations for the Rockford Meijer, said having a female helper is nice for the kids. COPS CAN SHOP—But daughters are better. 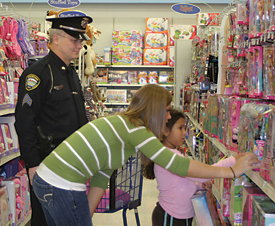 Here officer Mike Miller, shopping for Ruby, is helped by his daughter Stacie. “Especially with the officers in uniform, the kids can sometimes be a little afraid of their officer,” she said. In addition to helping a family which may be struggling financially this year, building public relations is part of the purpose. “We hope the children remember this positive experience with a police officer,” said police volunteer Carol Delp-Korzeja. Rockford Meijer Store Director Phil Morrow gave each child a $5 gift card and asked that they use it to buy something for someone else. 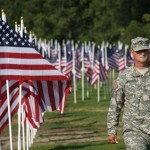 “We have done this since the store opened and we will continue to do it,” he said.